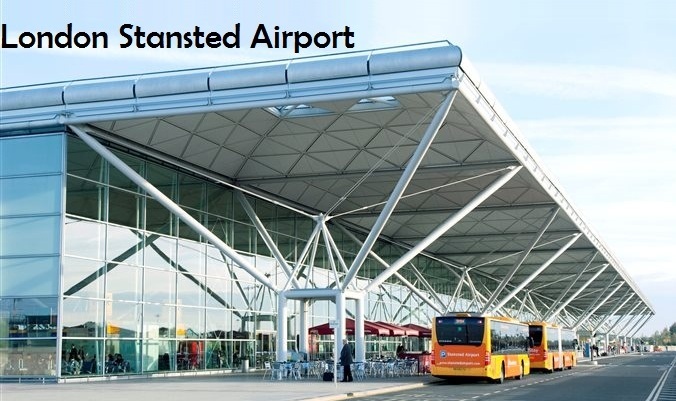 London Stansted Airport is an international airport and UK’s fourth largest airport which is Located at Stansted Mountfitchet in Local government district of Uttlesford in Essex and it is located at 48kms northeast to Central London. Book our London Airport Transfer services for a safe and comfortable ride to and from Stansted airport to your London destination place. Stansted airport is the London’s third busiest airport which has one runway and serves flight services over 150 destinations in 30 countries. It is largest hub of European low cost airlines and the major base for Ryanair Airlines with over 100 destinations served. Stansted airport opening hours are 24-hour a day, 365 days a year. Airlines and Destinations: 21 airlines operating fleet to 150 destinations. Information Desk is Located in international arrival area, providing 24-hour support with general airport enquires, flight information, paging calls and other additional support such as Photocopying, Printing on-line boarding documents, sending and receiving faxes. Stansted airport does not have an official point. Ideal meeting spot in airport is Costa Coffee at international arrival area and Café Modena at UK and Ireland arrivals. Alternatively many passengers prefer to meet at information desk located in international arrivals area as convenient meeting place with comfortable public seating. Baggage facility desk is located at international arrival landside concourse. Baggage allowances are determined by airlines and other various factors such as fares paid and aircraft type. Free Wi-Fi facility at Stansted airport is available for 60 minutes and Internet Kiosks are available before and after security control. If you have mobile internet device, you can print vital documents at kiosks and brush up last minute paper work during the flight. Bag wrap services at Stansted airport are available at Zone J at front of terminal Concourse. Bag weighing can be done at zone D and F where you can ensure accurate weight charge rates. In Stansted airport there are range of shops available which provides security selling tax free goods to all passengers. Booths operates in branches at terminal and you can get medical help from Pharmacy at any time. Meeting and conference facilities are available in United Business Centre at Stansted airport. 16 meeting and conference rooms are available which are suitable to accommodate from 2 to 250 people. Check-in at the Escape Lounge is up to 3 hours prior to your flight departure, and you are entitled to a 3 hour stay. You can access the lounge from the time you provided when booking. You will have to pre-book this lounge in advance. The bright new facilities provided by Stansted airport with stunning and relaxed environment for both business and leisure passengers. Check-in at Escape lounge is up to 3 hours prior to flight departure and 3 hours stay. It provides luxurious facilities with tranquil surroundings, complimentary food and drinks and also offers breakfast, brunch and afternoon meal. It provides free Wi-Fi too. There are range of facilities available for assistance of disabled like Wheel chair ramps, adapted elevators, restrooms and telephones are available at the terminal to offer assistance for disabled. Special seating arrangements are also available and help desk for special assistance is located at front of terminal between zone D and E.
Stansted airport provides varied means of transportation services for travelers and they can easily get to their choice of destination. Unlike other airports Stansted airport does not have long queues to hire a car. Stansted airport via the M11 motorway is the most recommended route. Expected travel time between Stansted and Central London is about 60 to 80 minutes, in weekend’s congestion, extra charges may be charged to travel to Central London. So it would be better to prefer private airport transfer services. Stansted airport car transfers provided by London airport transfers are safe and executive car services that will take you to your desired destination without keeping you waiting and without any hassles. Book your Executive car services in advance from London airport transfer car hire Company before your flight arrival.